I remember the first batch of biscuits I made. They were hard and flat and nothing like the fluffy, layered pastries my mom put on the table. Then when I was visiting home I got out two bowls and said - let's make biscuits. She didn't really use the recipe, and her technique was both perfect and automatic. These days, I make great biscuits, I don't need the recipe, and every step is automatic. In creating an animated video, I'm a beginner at everything, like having to refer to recipe upon recipe. Everywhere I turn there's a new skill to acquire and a new software to learn. There are many specialized steps along the way: script-writing, ideas and storyboard creation, illustration, animation, audio recording and design, publishing and distribution. This is an incredibly complicated recipe. In the midst of this long and arduous process I am feeling - encouraged! Yes, it's a long haul, but the trek is exciting for me. I find all of the subjects above fascinating. Here's where I'm at, there are four scripts written, two storyboards approved and initial artwork created. I'm finally diving into animation. In parallel, I need English audio, a French translation of the script, and then to find a French voice for the script. Further along will be choosing music to accompany the video and the addition of sound effects… This video will be short, probably 30 seconds or less. It's purpose is to point the viewer to an article on everystudent.com and it's equivalent in other languages. I feel like I did with my first batch of biscuits. There is so much to learn, and it's not easy. But with time and practice, hopefully this will become quicker and easier, and the recipe more intuitive. Silas and May working together at the office. 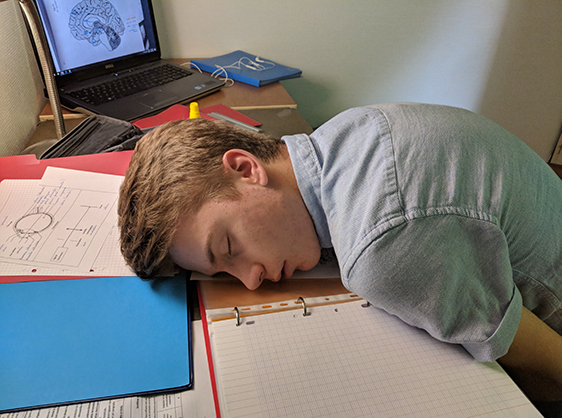 Silas pushing his limits while studying for end-of-year exams. Efrem playing for his amateur diploma. Efrem loves to have fun, always eager to get outside and move. 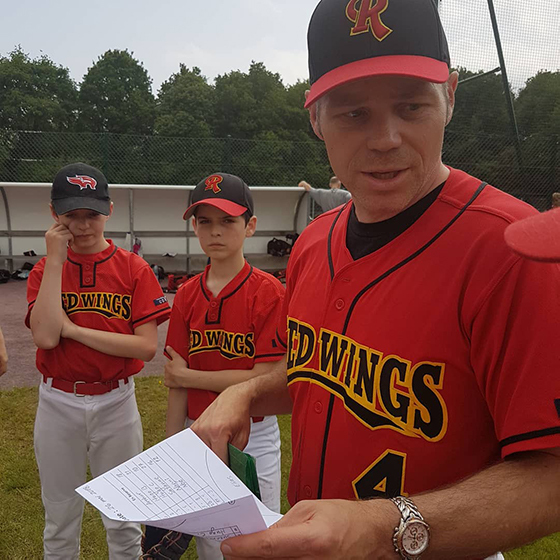 Dan has coached his baseball team for 5 years. With practices every Saturday starting in September, it’s a big commitment. for rapid progress on a new donation site for Agapé France. for continued progress on Dan's animated videos. for Silas and Efrem to grow in their faith, to listen to and love the Lord. that His love and grace will reign in our family especially with end-of-year exams. 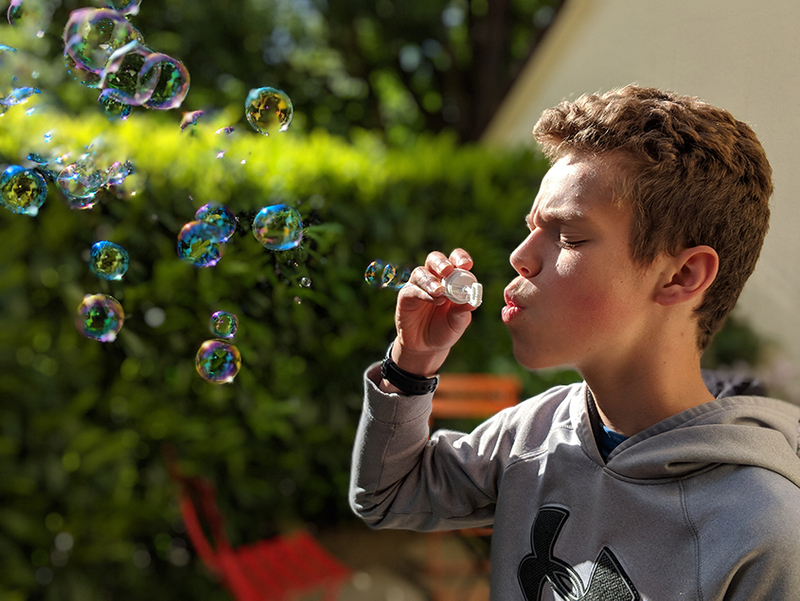 Bursting with energy from one thing to the next, Efrem power-studies for his latest test, switches to practicing his flute, asks if I can go outside with him, then rushes out to climb a tree or swing at whiffle balls. It's remarkable that he is able to focus this energy enough to be among the top in his class and possibly the most promising flute student at the conservatory. He recently performed a concert to validate his amateur diploma in music, where he received "très bien" for a grade, that's very good. The concert had solo pieces by Bach and Chaminade, a duet with his brother, and a jazz piece with a group of friends. They did a fantastic job, spurring the normally restrained jury to cheers and applause. Efrem is having a good baseball season too, batting 500 in league games (9 for 18) and second in the league for RBIs. His coach is very thankful to have him! In fact, if Efrem weren't playing, he wouldn't be coaching. The baseball finals are the 23rd of this month. May and her team plan on deploying the new Agapé France website in only a few weeks! The new site will be formatted for any size screen, from phones to desktops. They're making great progress, testing and fixing any bugs now. Dan has four scripts finalized and two storyboards that he has proposed to make into animated videos. He has a lot to learn, but is enjoying the process. 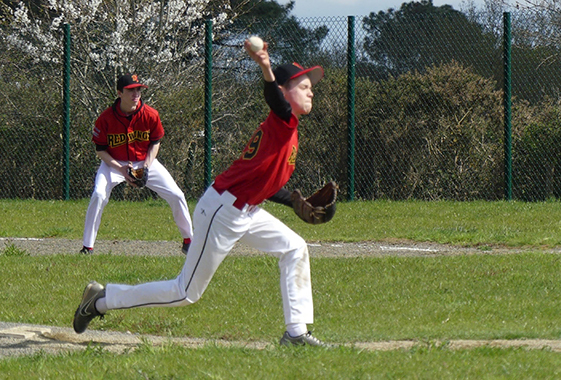 The sun has returned and we are playing our first games on the new and only baseball field in Rennes. It took 2 years of construction and an investment from the city of over $700,000. It has a synthetic turf infield and is beautiful to play on. The 13-15 year-olds have had a rough start, with 3 losses and 1 tie. We can only get better, right?! You! 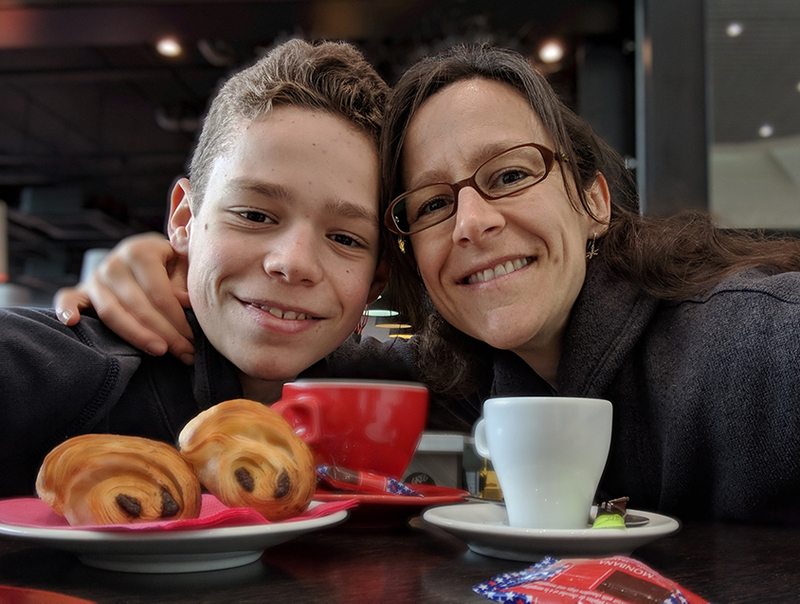 We are a team, and each person who prays and generously gives makes what we see God do in France possible. Thank you for partnering with us. We are grateful for you! The 4 songs for the exam are in 4 different links in this email, can you find them all? for the successful launch of the new agapefrance.org web site. for continued progress on Dan's animated video for everystudent.com and questions2vie.com. that his love and grace will reign in our family. Efrem pitching against the Firehorses. Silas playing for his violin exam. We haven't shared very much about Silas yet this year. Each week Silas has 32 hours of class as a junior in high school and 10 hours of class at the music conservatory. That makes for a lot of work when he finally gets home at night, sometimes as late as 9:30! Our biggest challenge with Silas is encouraging him to get enough sleep. Silas still does remarkably well in school, with some of the best grades in his class. And he recently got the highest grade possible - très bien - from the jury at his violin exam. He played four challenging pieces by heart for over twenty minutes. 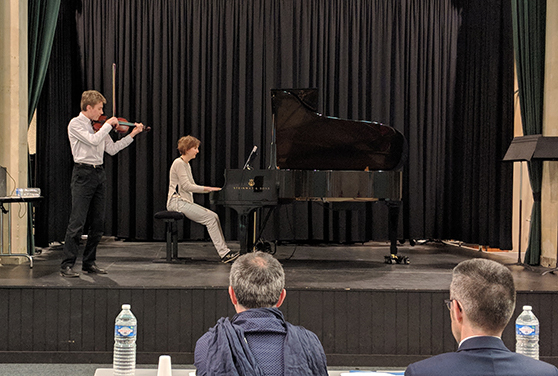 During his spring break he took some lessons from a renowned violinist who used to teach at the top French music school in Paris (the CNSM), a neat opportunity. Next year he plans on achieving a professional music degree at the Rennes conservatory. He hopes to pursue traditional academics as well as music studies. 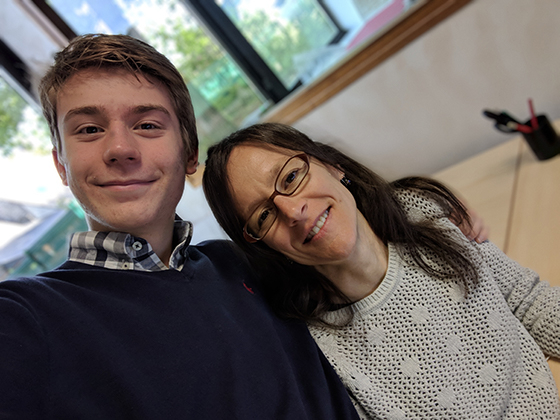 Silas took the PSAT test at a local school, which was quite an experience. It revealed a major gap in his math vocabulary. He has an excellent level in math, but everything has been in French. So when asked what the "mean" is, for example, he didn't understand the question! Math vocabulary can be different than what we use in everyday life. However, he is well prepared to write in English thanks to the international section at school. His literature teacher routinely asks them to write up to ten essays at a time, which Silas spends hours upon hours doing. Unfortunately, only one is collected and graded. Such is life!